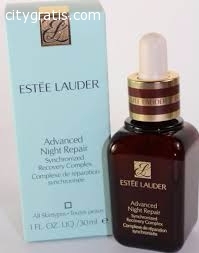 Wake up to beautiful skin every day with Estée Lauder’s Advanced Night Repair Synchronized Recovery Complex II. This advanced serum promotes a natural nighttime purification process vital to younger-looking skin with a formula that has been tested and proven to reduce lines and wrinkles, smooth, hydrate and strengthen skin and give you a younger, radiant, more translucent glow. Proven effective for every ethnicity, results from a clinical trial showed that with repeated use over four weeks, women noticed a significant decrease in lines and wrinkles, an improvement in skin's overall hydration and a visible improvement in tone, skin healthiness and radiance. Delivery takes 3 to 5 days where ever you are located around the world,we deliver to buyers door step without any delay nor custom issue as we are a proffesional and we only deliver by a stron g reliable courier service,e.g FedEx,Dhl,Ups.